CJC Homes - Bathrooms, Bedrooms, Kitchens based in Charlwood, Surrey. 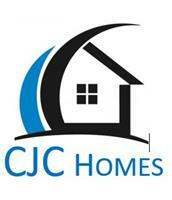 CJC Homes is a reputable and well-known home improvement specialist, covering Surrey and Sussex. Our professional team has over 15 years’ experience within the building, maintenance and home improvements sector. CJC Homes have the capabilities of completing every job no matter how big or small. Our high standards offer our clients satisfaction with every aspect of your project. CJC Homes has an open communication policy which enables our team to complete and deliver on every project.